NEW YORK—Democratic mayoral candidate Bill de Blasio’s per-kindergarten plan received a notch of support from popular Maryland Gov. Martin O’Malley on Friday. Gov. 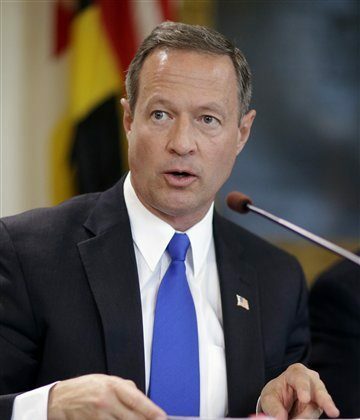 O’Malley has seen how helpful the pre-k program can be. He said his his state has invested $2 billion more in education partially through tax hikes, which at the time were unpopular decisions. But the governor said the investment paid off in improved test scores. There have been doubts about the plan, which will increase the taxes on New Yorkers making over $500,000 from 3.9 to 4.3 percent, ever passing Albany. In a recent interview with the New York Daily News Editorial Board, New York Gov. Andrew Cuomo did not appear optimistic the plan would pass. “If [de Blasio’s] elected and if he comes to Albany, he can make his case and we will hear him out and let’s have a fulsome discussion, but this is a conversation we just had,” Cuomo told the Daily News. Cuomo is gearing up for a legislative agenda which will include lower taxes in the State. All members of the State Legislature, as well as Gov. Cuomo, will be up for reelection in the fall of 2014. Both Cuomo and O’Malley’s names have been listed as possible Presidential candidates in 2016, although neither has officially announced.